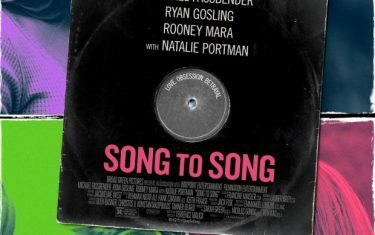 Terrence Malick’s Austin-Based ‘Song to Song’ is Almost Here!!! 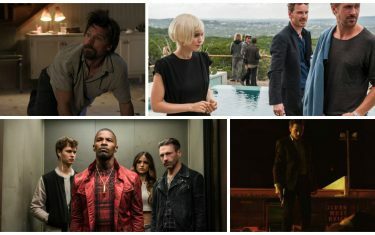 We've waited a very long time for Terrence Malick to release the film that he shot in Austin over five years ago, and our patience has finally paid off. 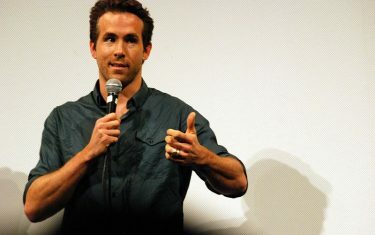 It's Valentine's Day, and there's no Austin celeb we'd rather profess our love to. 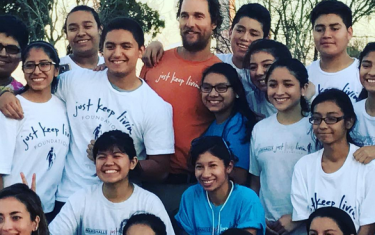 Read on to find out just why we're so gaga over Matthew McConaughey. 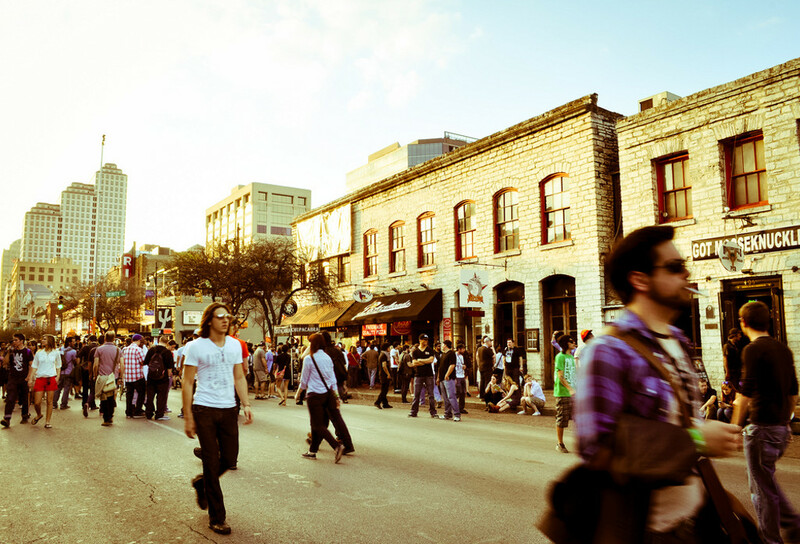 It's almost time for the celebrities of SXSW Film to descend upon Austin. 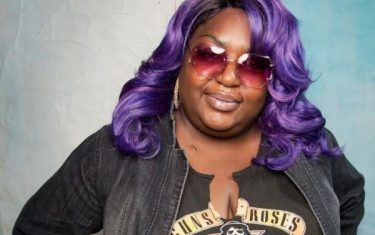 These are the actors we're keeping our fingers crossed to actually come to town. 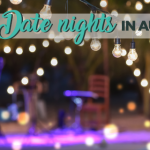 As Seen On TV: Here’s Where To Catch 15 Of Austin’s Hottest Actors In 2017! 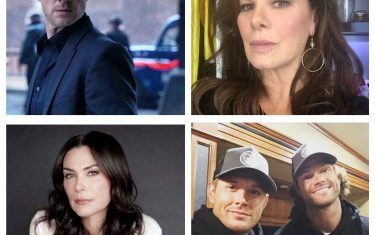 Whether you watch your TV live or binge watch on-demand or through an app, we count 15 actors with Austin ties that you can currently see on screen. 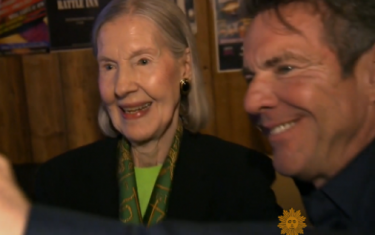 Austinite Dennis Quaid took to CBS this weekend to promote his new movie and to share his love for Texas and his mama as his family celebrated her birthday. 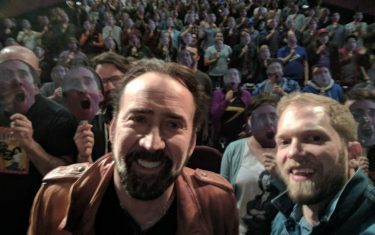 Nicolas Cage fans were treated to a very special surprise this weekend, as Cage attended and sat through the entire C4GED marathon at Alamo Drafthouse. 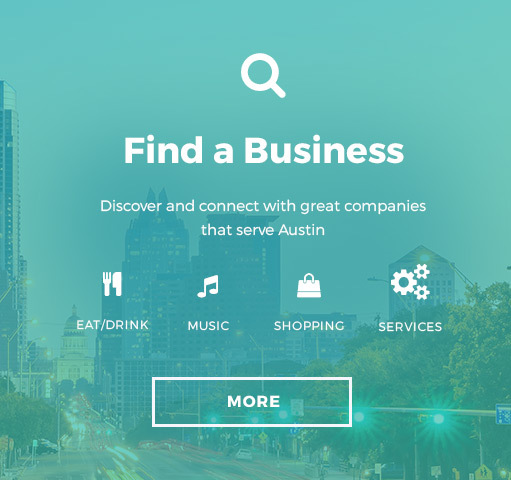 Know Why Matthew McConaughey Stays In Austin? It’s The Sweetest Reason Possible! 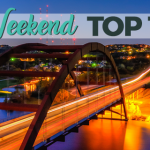 Matthew McConaughey recently revealed to "Good Morning America" that there is one special person who caused him to put down roots in Austin. 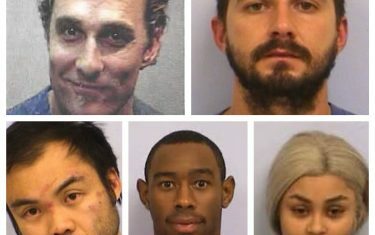 What is with celebrities getting into trouble in Austin? 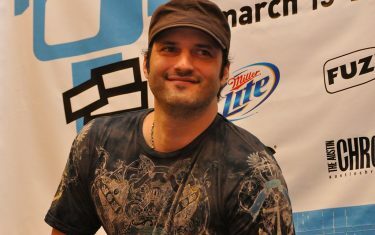 They just can't seem to keep from getting arrested here, but they sure make for some great stories! 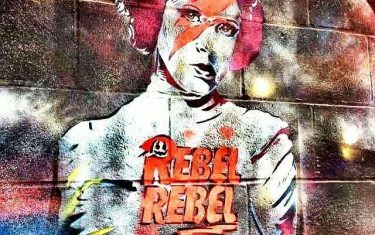 This Wednesday at 6:30 p.m. at the Alamo Drafthouse South Lamar you can be one with the force and one with an alliance of Carrie Fisher fans lighting up the sky in honor of the woman who we loved. For the second year in a row, Rachael Ray is donating money to animal causes around the country through the Santa Paws campaign. 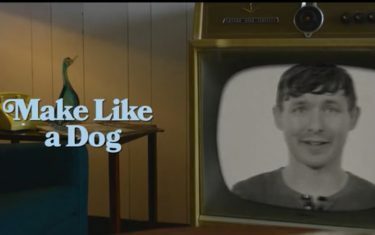 Actor Marshall Allman is from right here in Austin, and he has a new project that he wants the world to know about (and get behind). While you’re running around doing your holiday shopping and entertaining, keep your eyes peeled for celebrities. 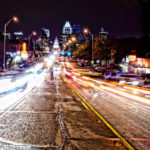 Many actors and musicians hail from Austin and head home for the holidays. Bill Murray in Austin? 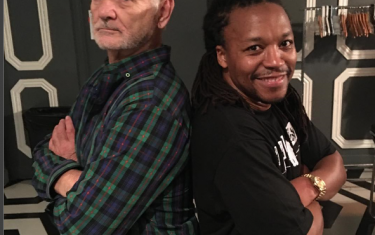 Bill Murray at the Lupe Fiasco show? Bill Murray at THE BELMONT? 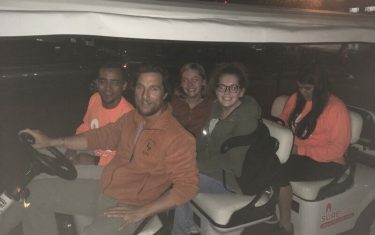 Oscar winner and Austin's favorite resident Matthew McConaughey surprised a group of University of Texas students by giving them a ride on Monday as part of the school's Sure Walk program. Shia LaBeouf just can’t stay out of trouble in Austin. 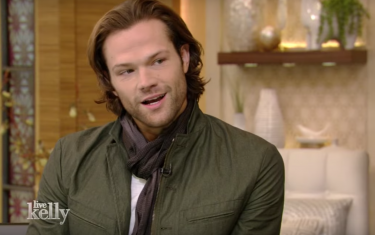 This Supernatural Austin Couple Just Made a BIG Announcement! 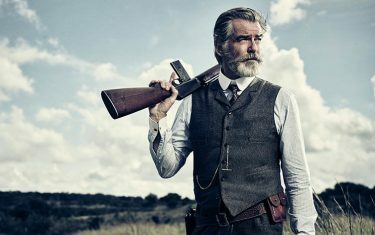 It’s no secret that a former Bond has been dashing around Austin recently. 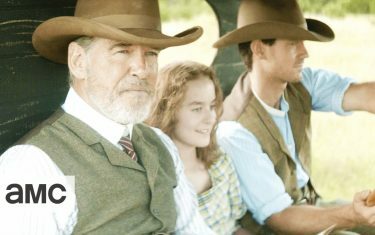 So, we made Pierce Brosnan's ATX sightings into a calendar, because why not?